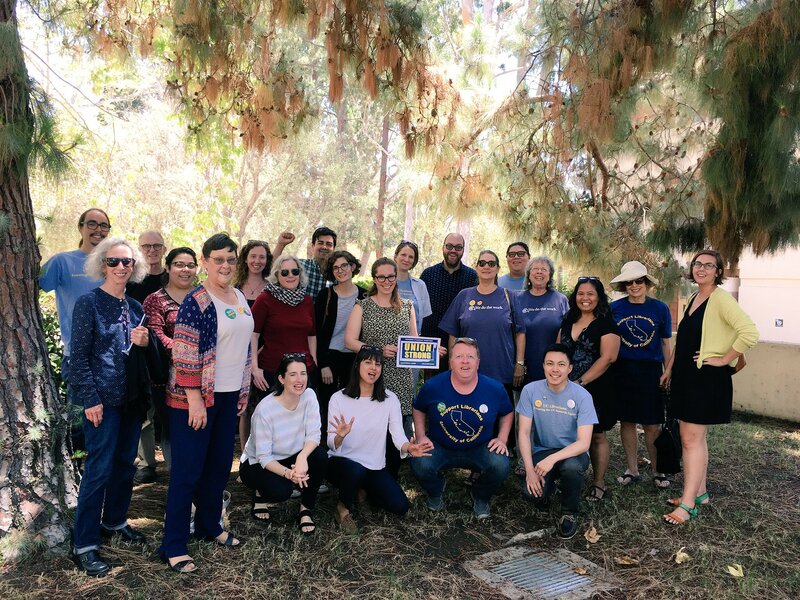 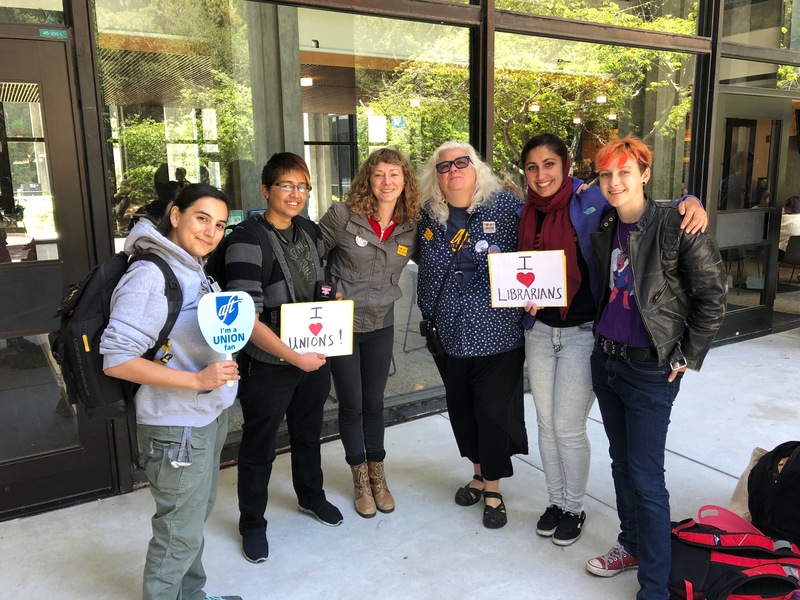 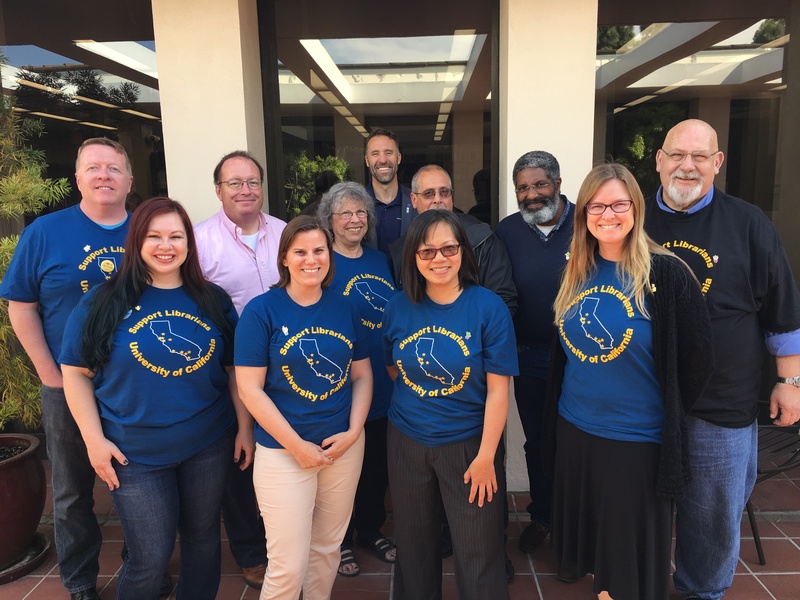 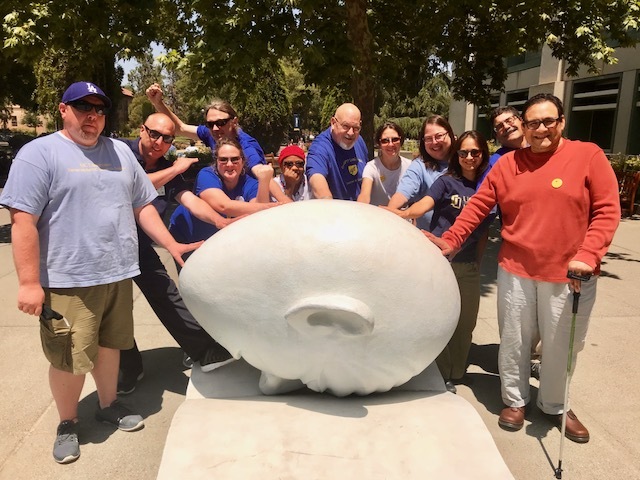 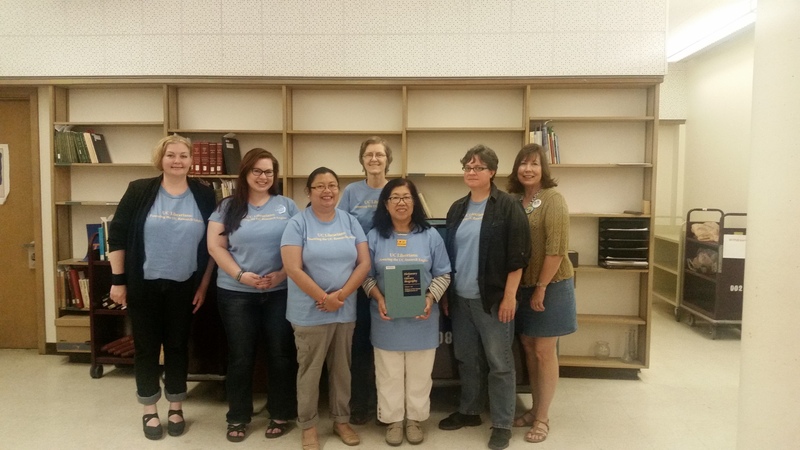 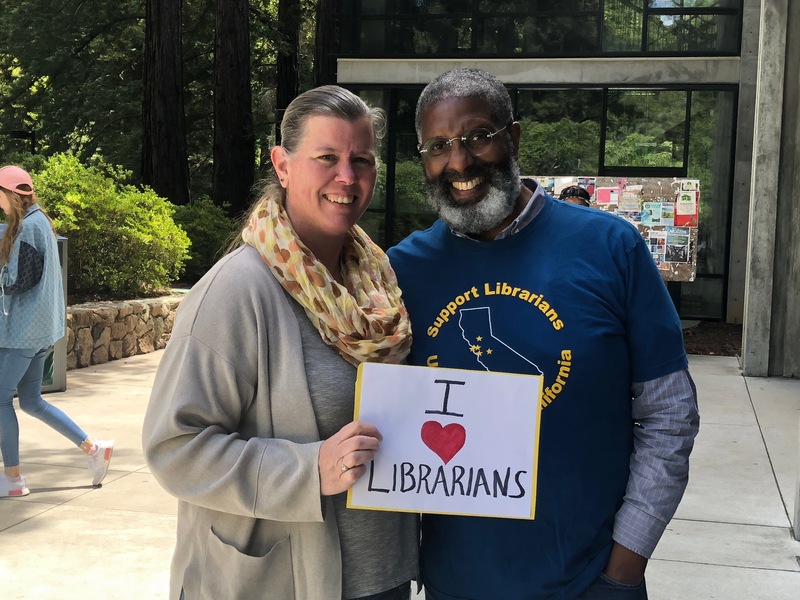 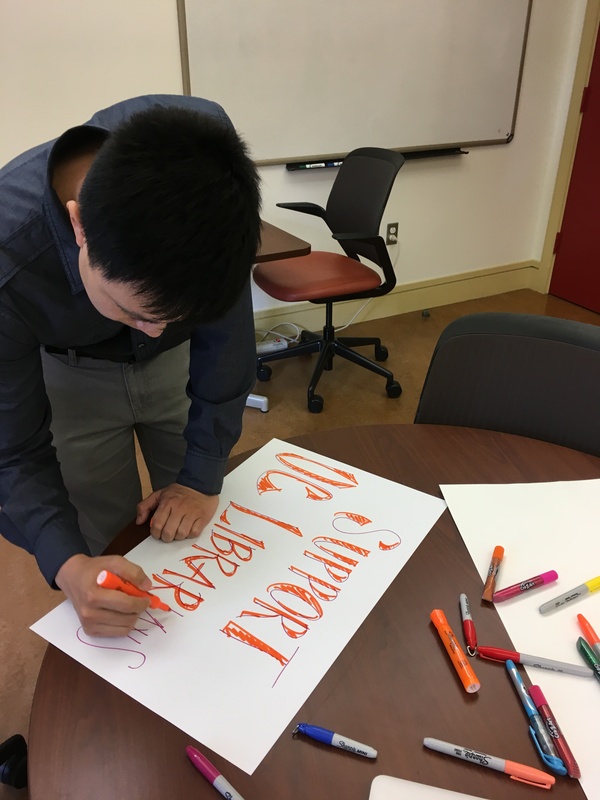 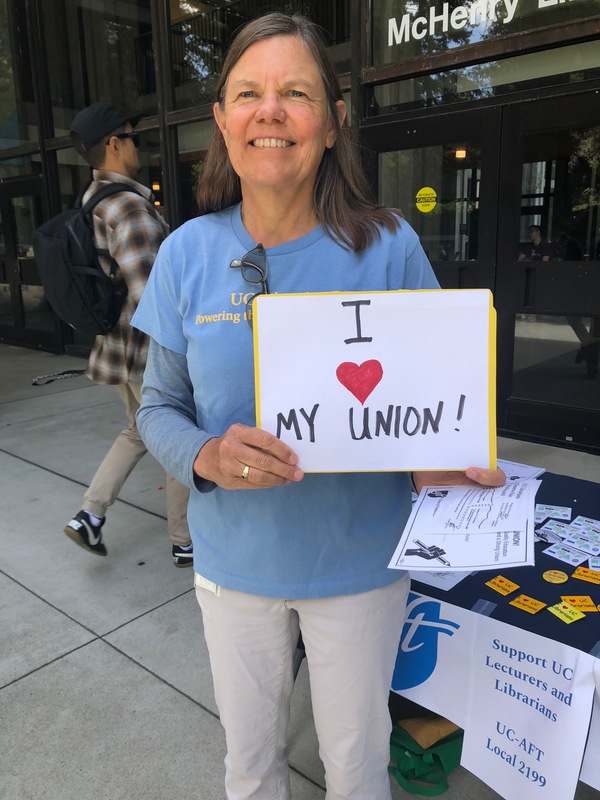 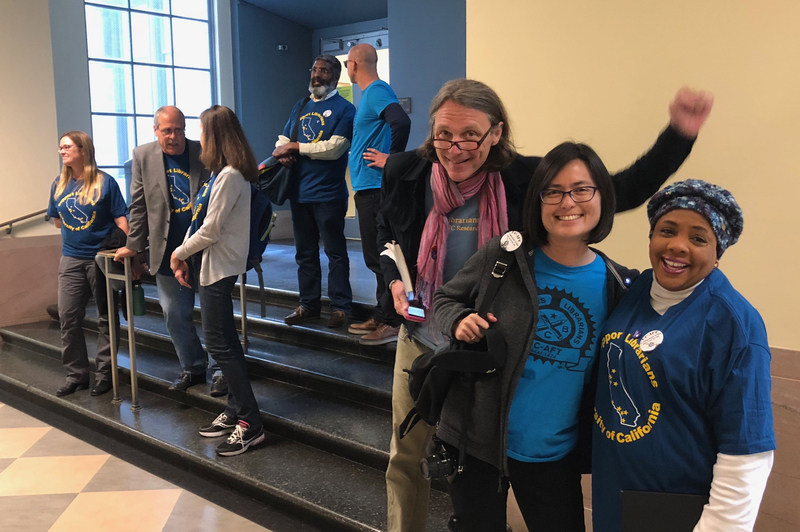 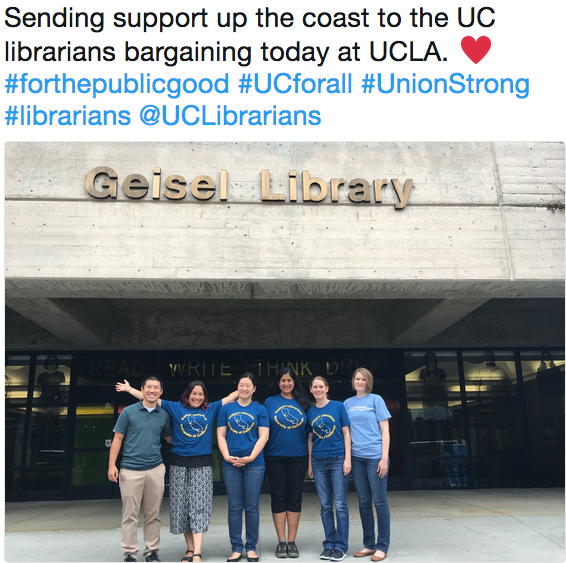 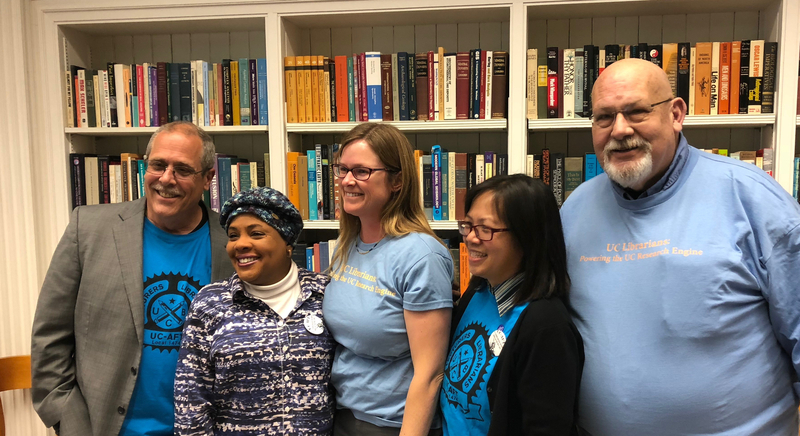 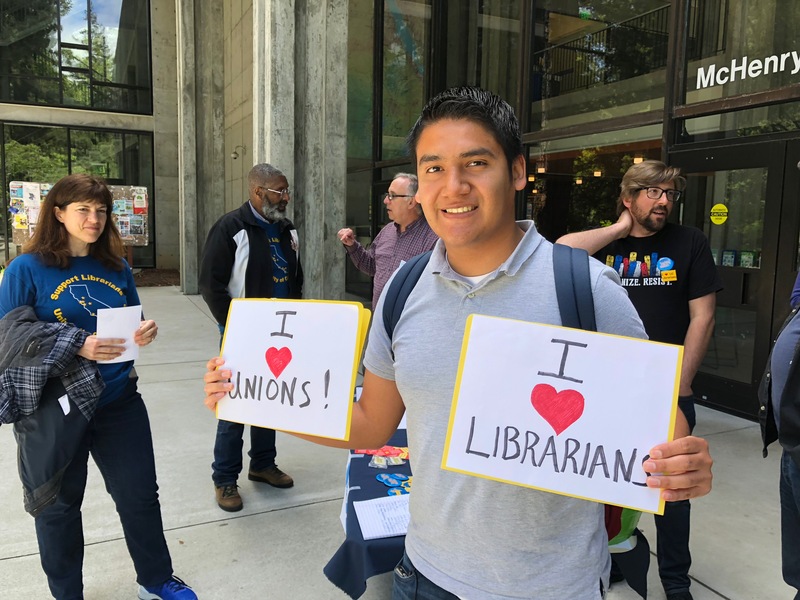 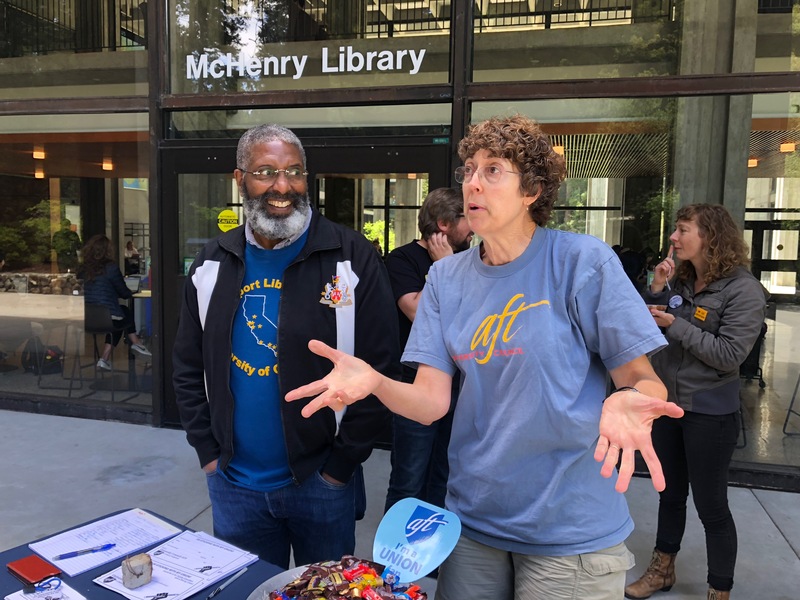 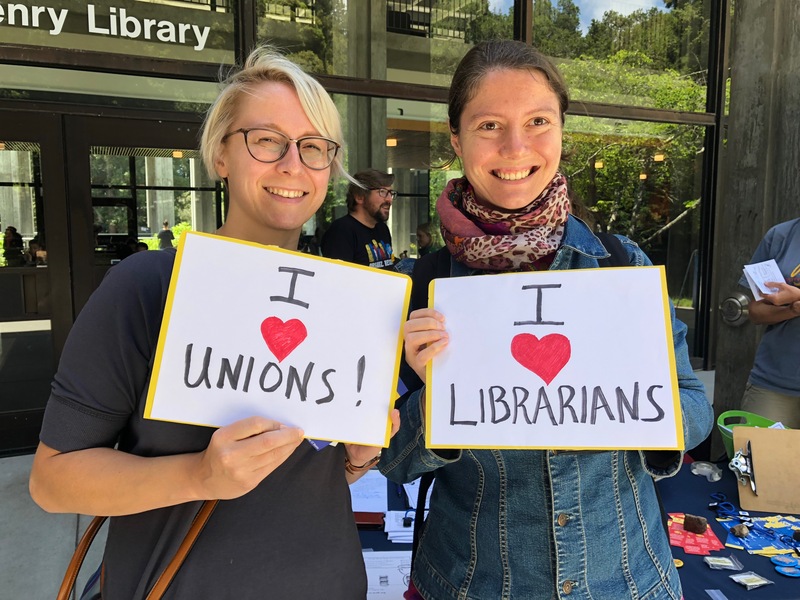 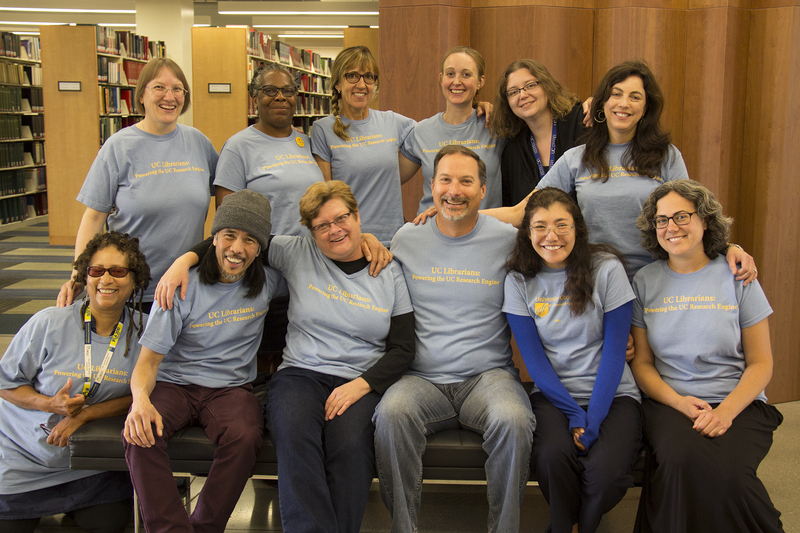 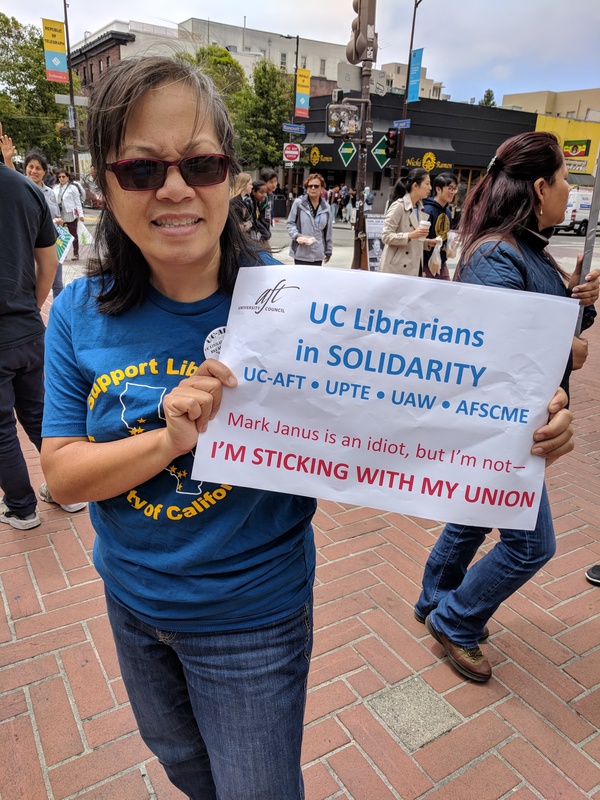 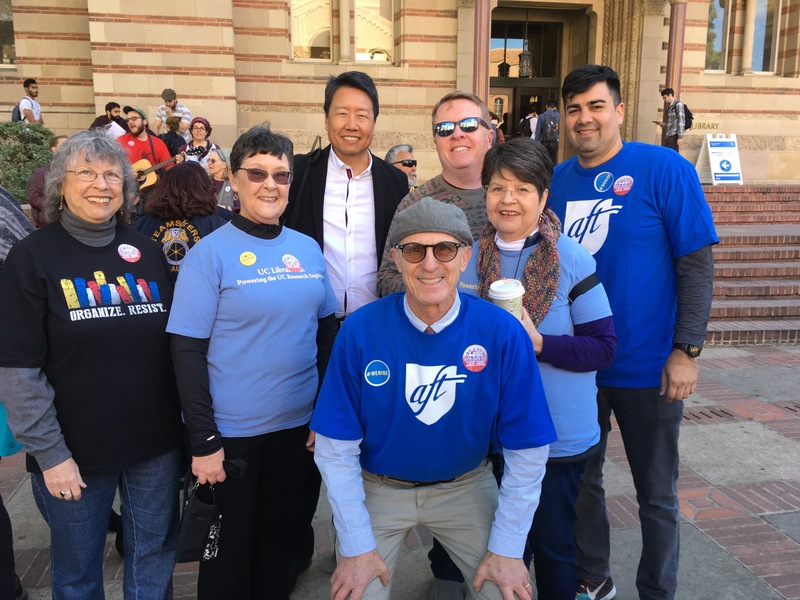 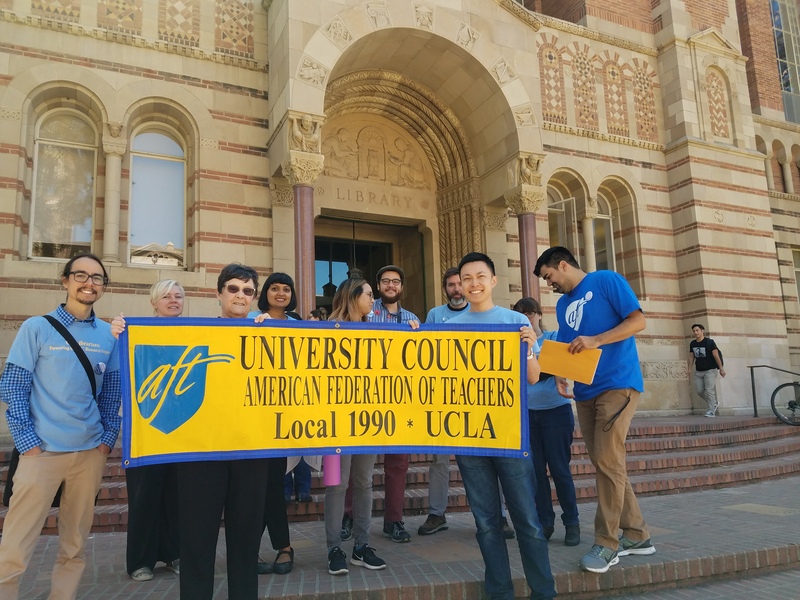 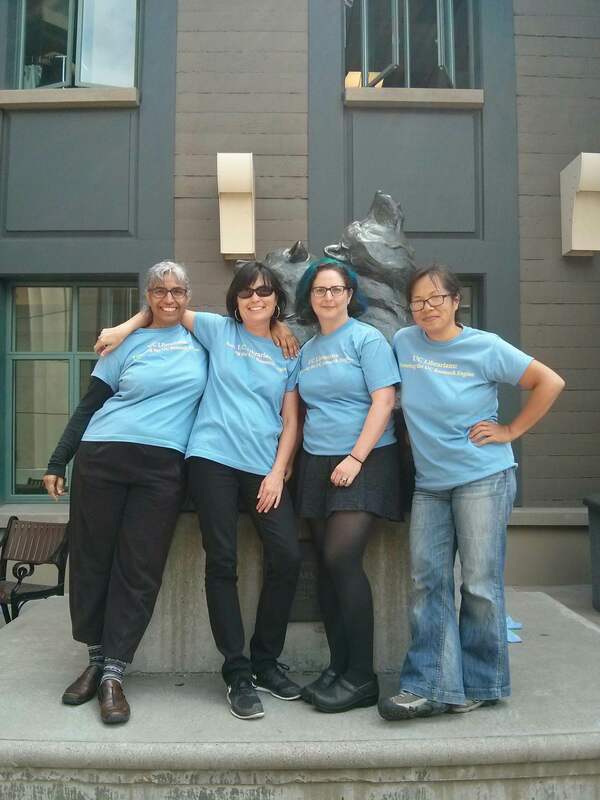 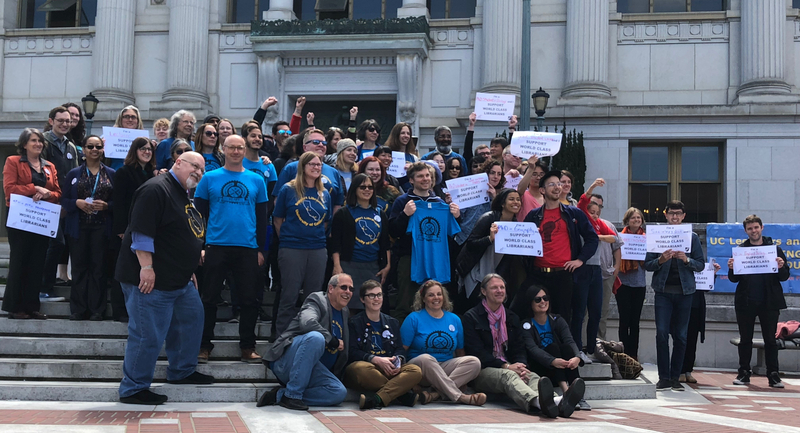 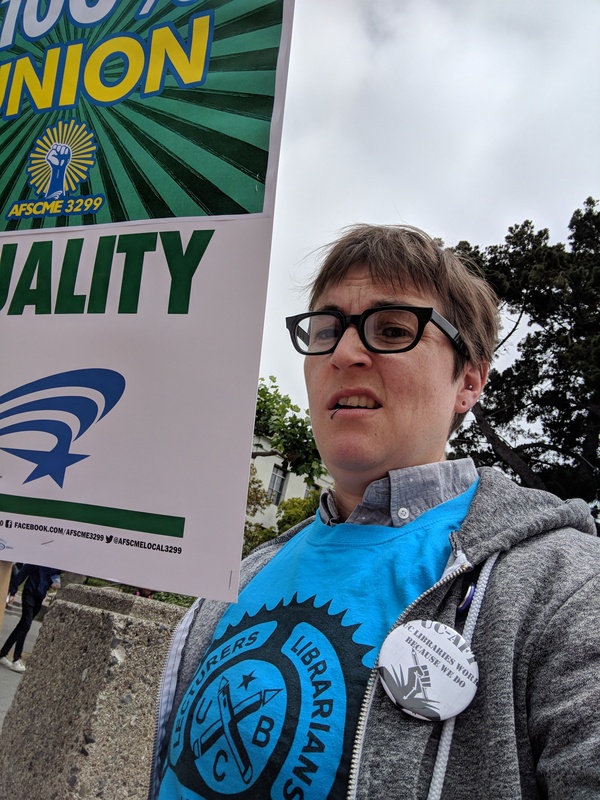 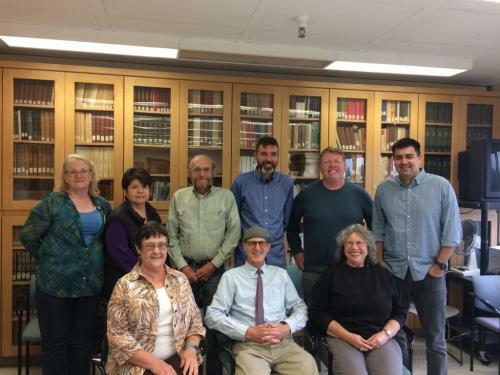 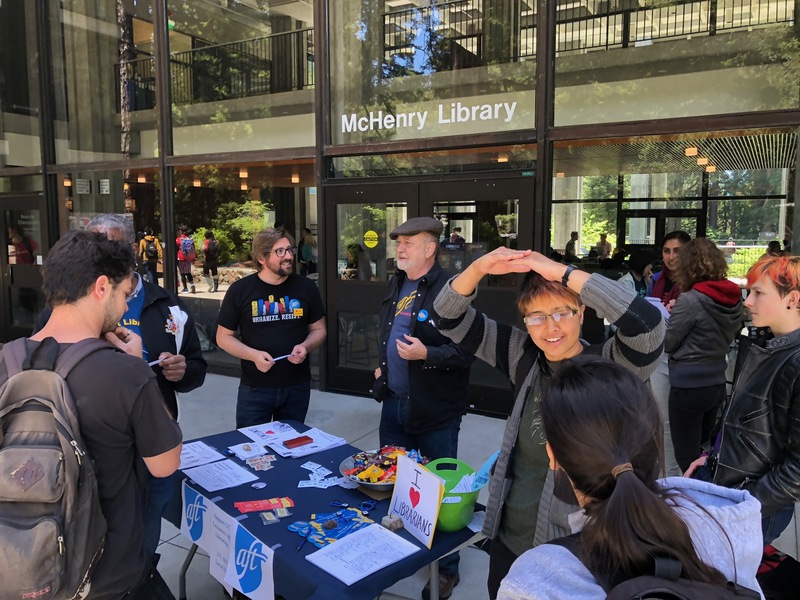 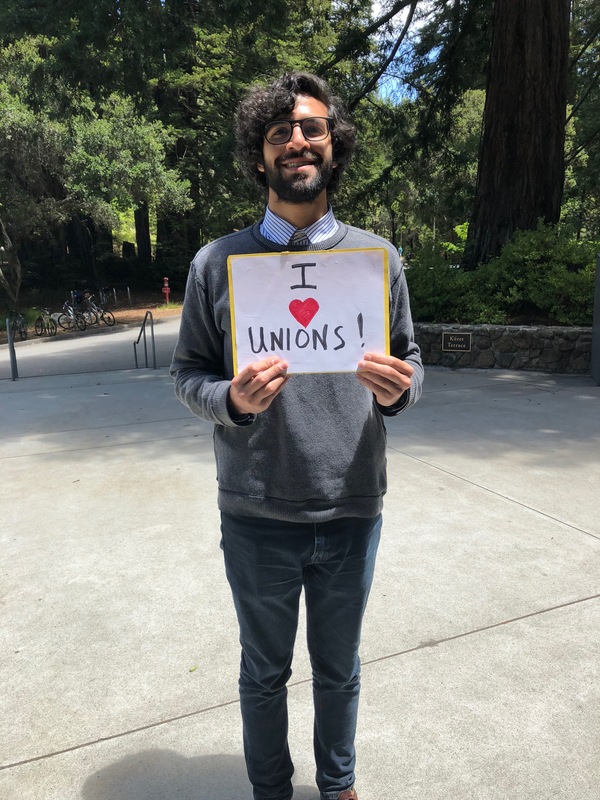 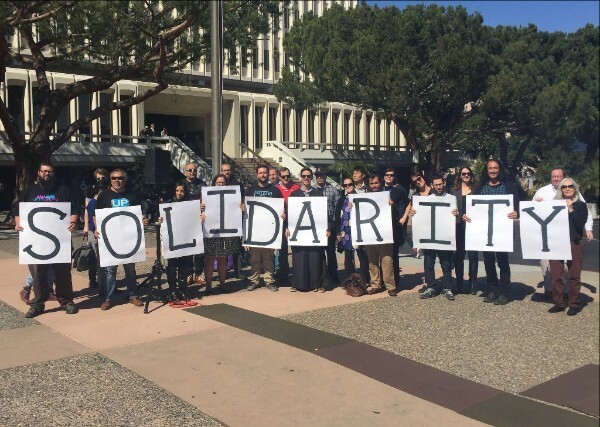 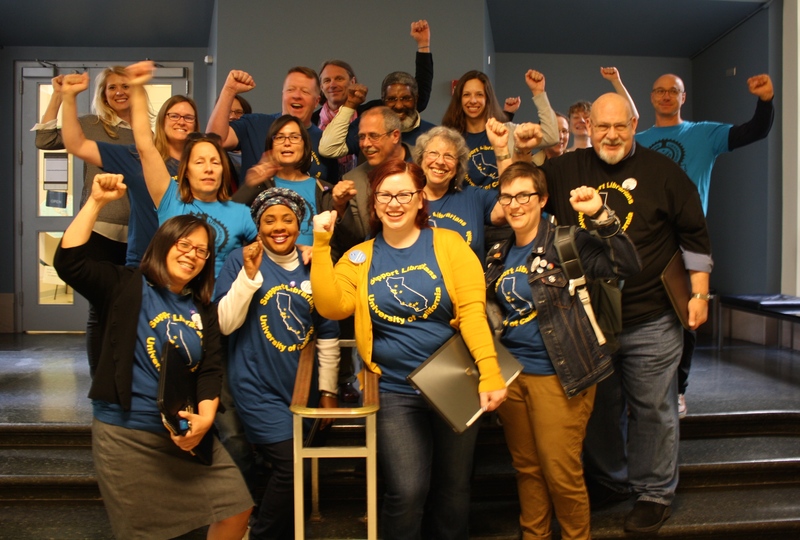 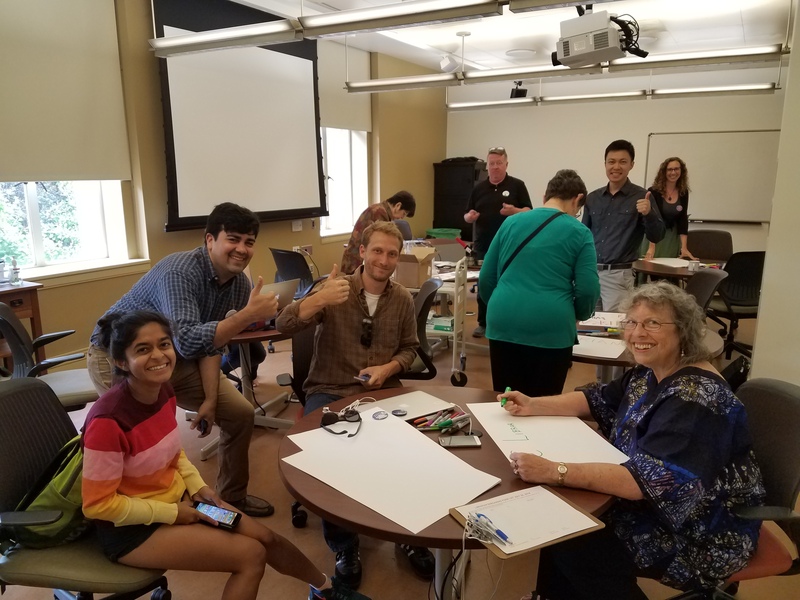 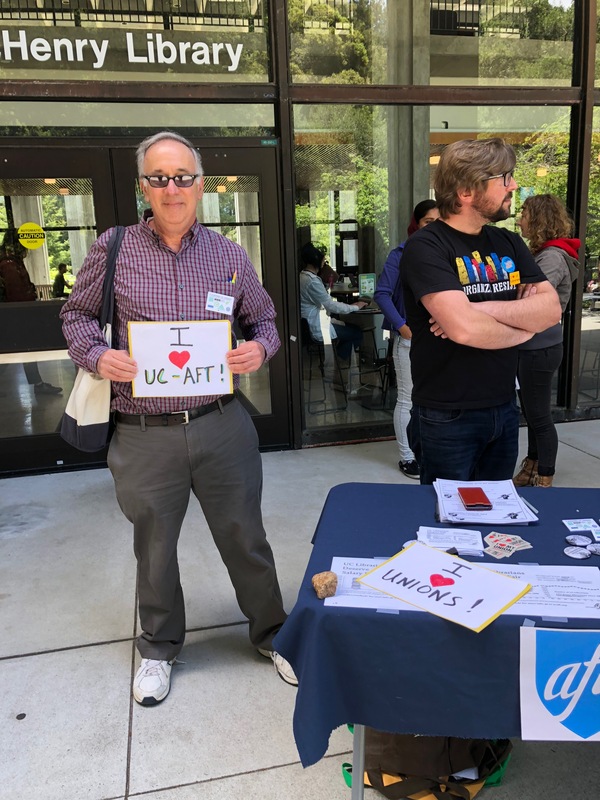 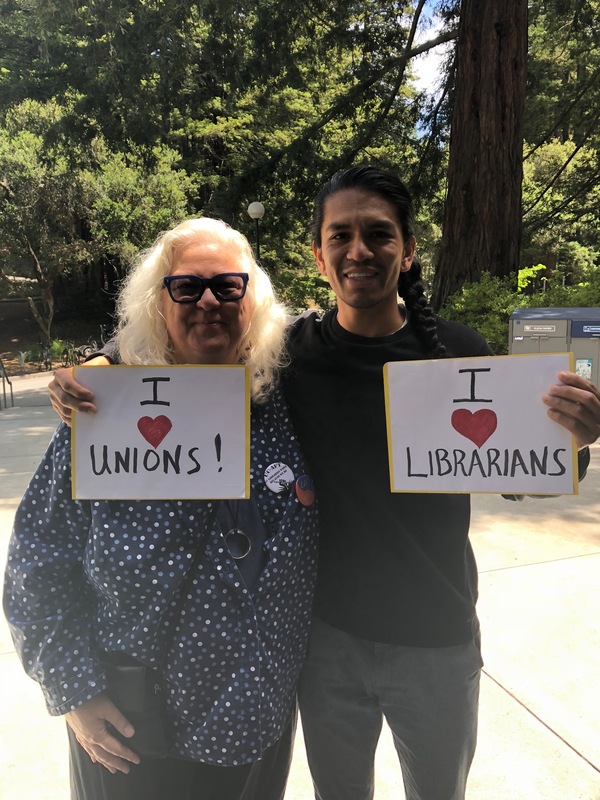 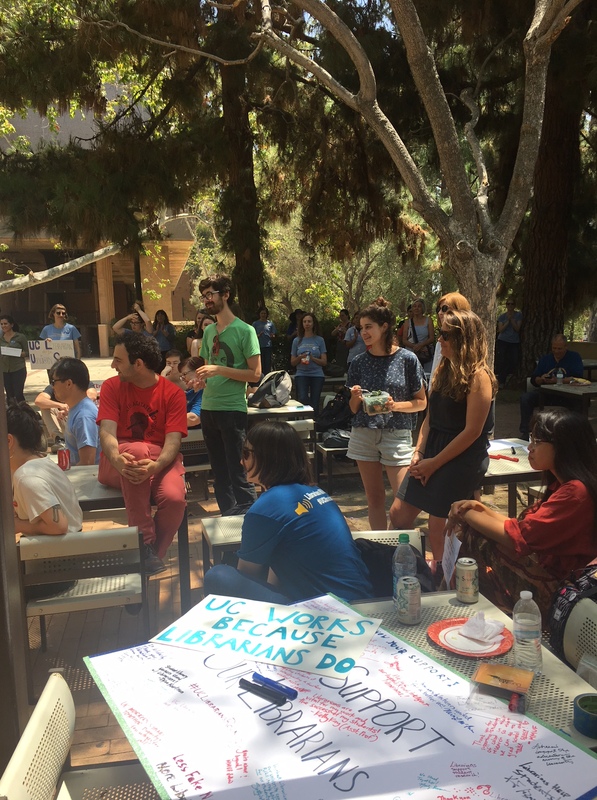 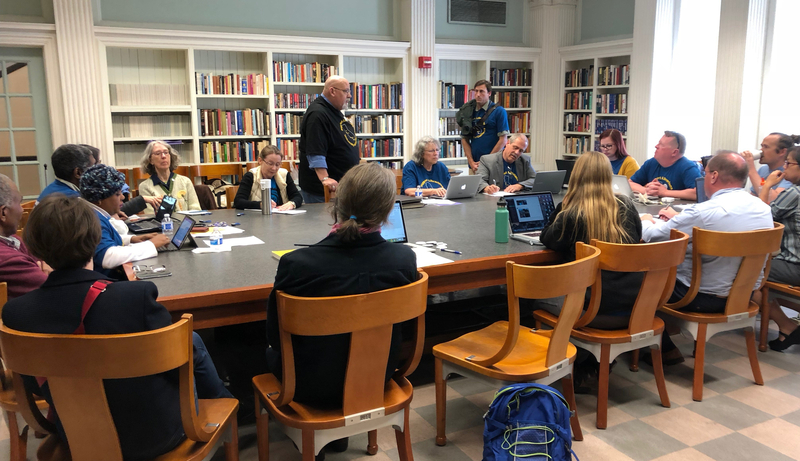 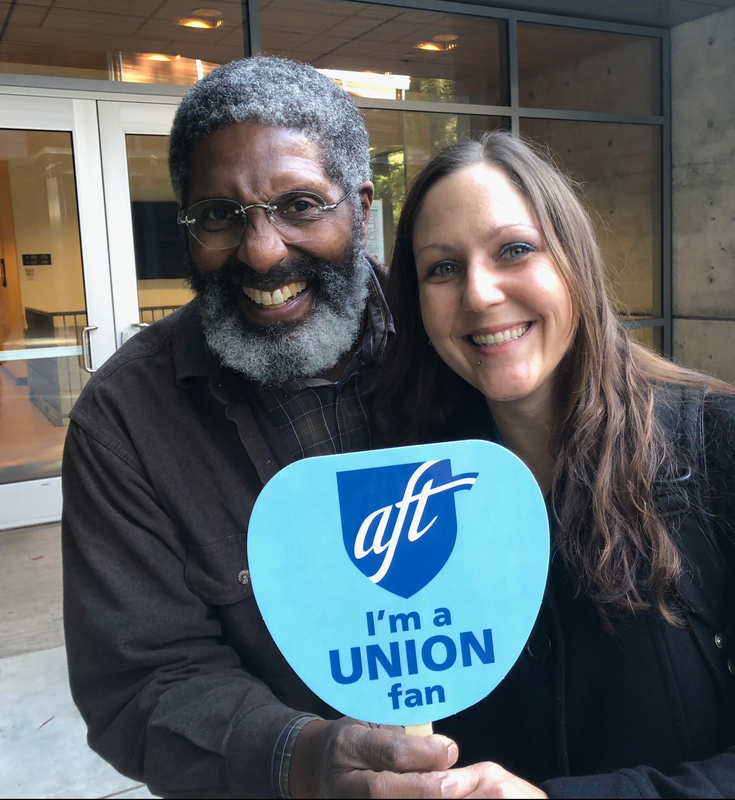 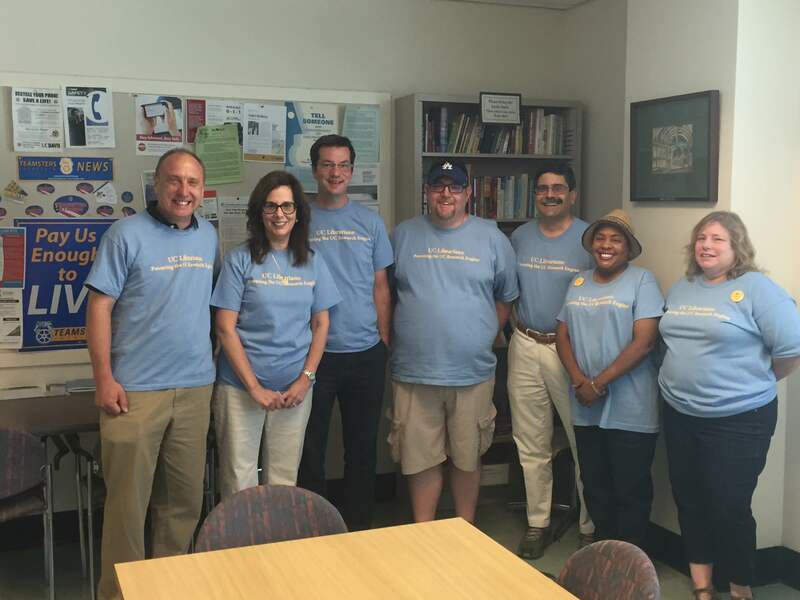 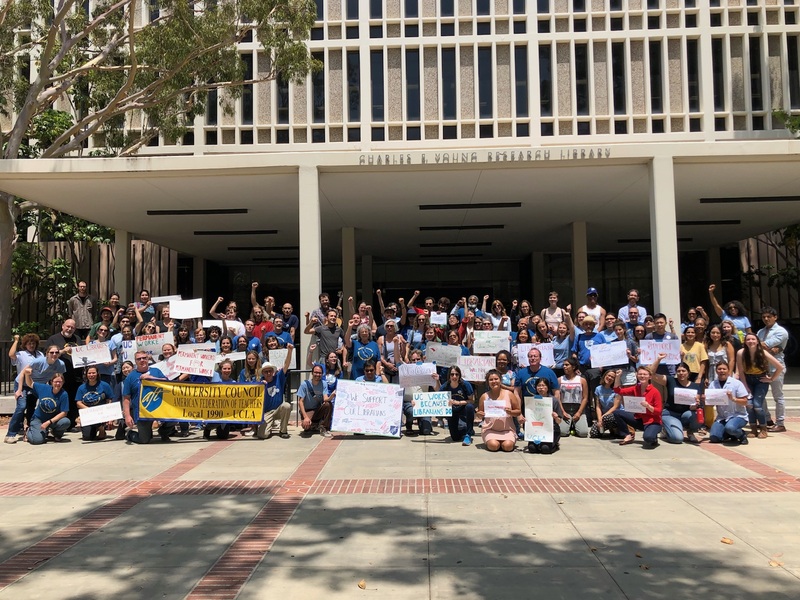 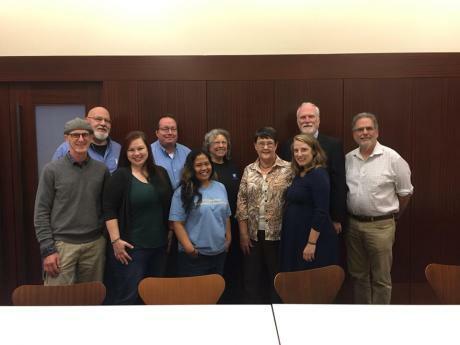 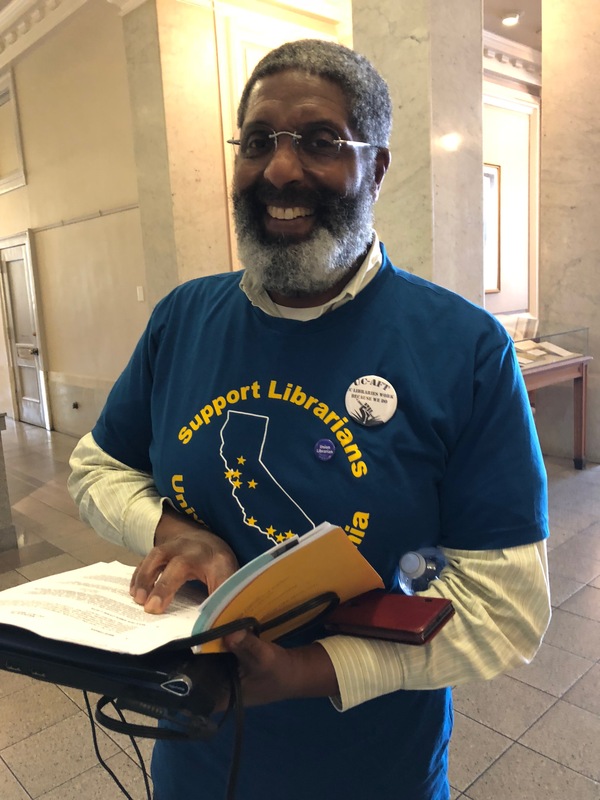 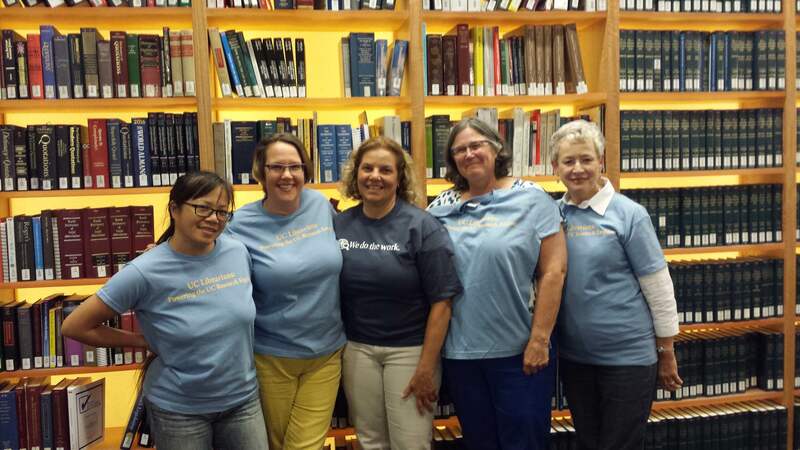 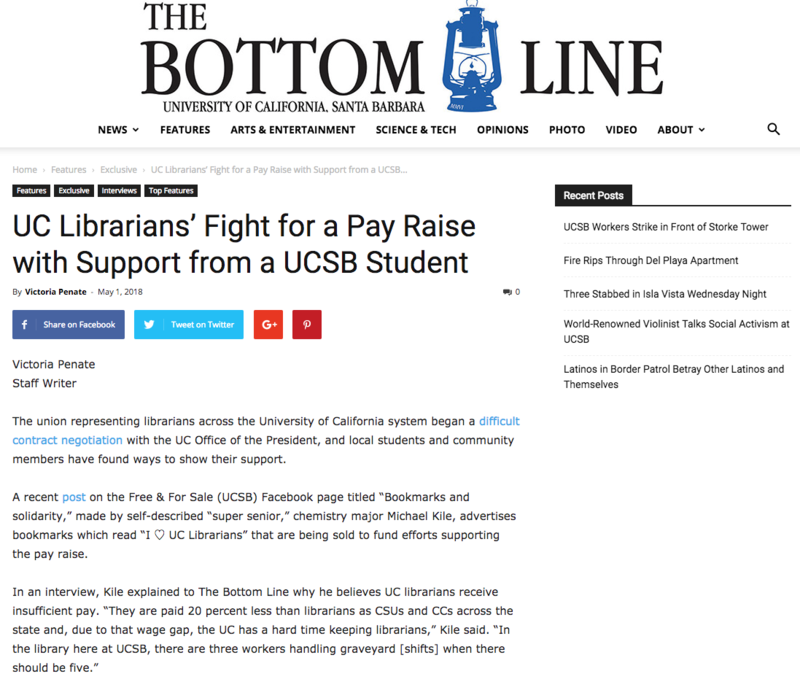 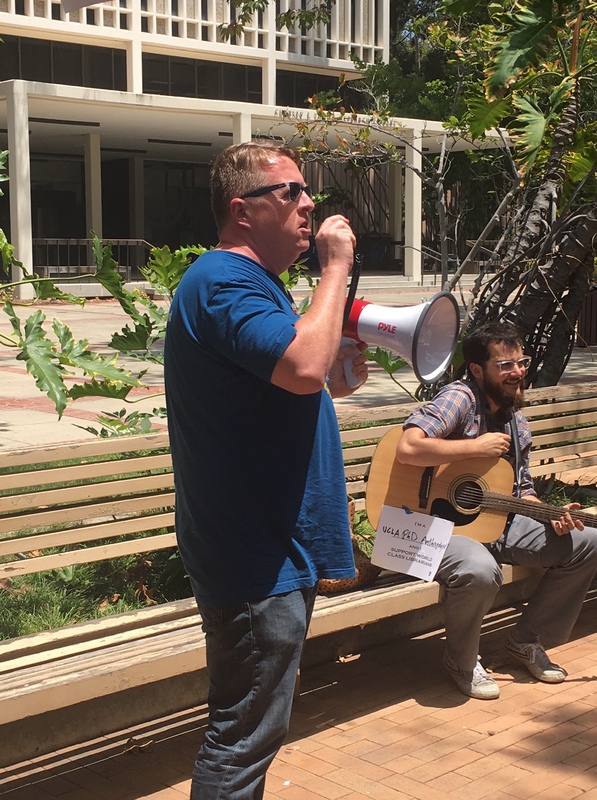 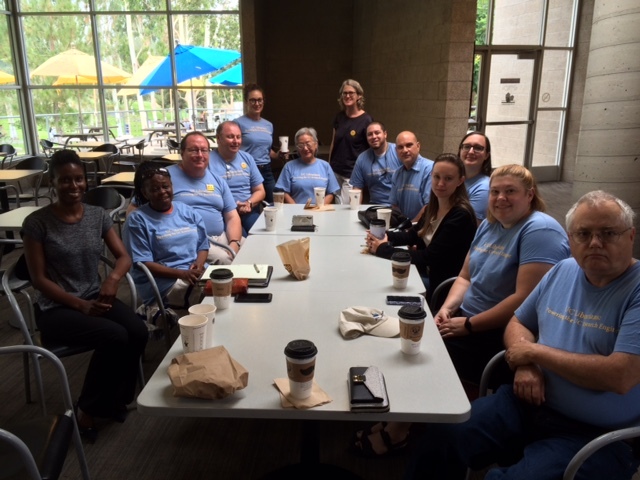 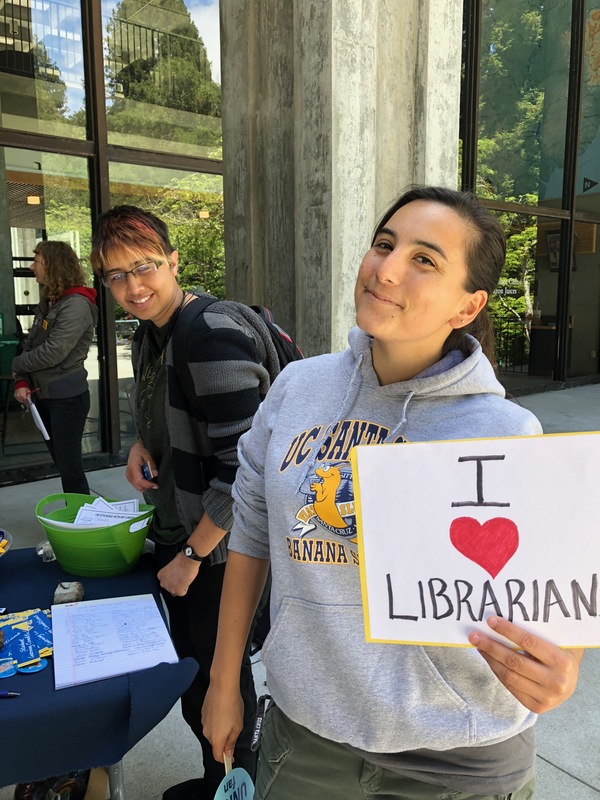 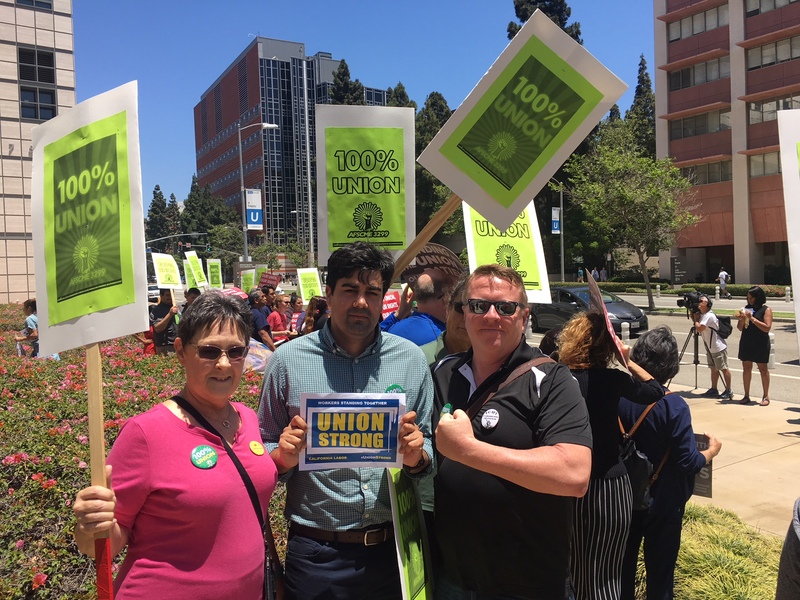 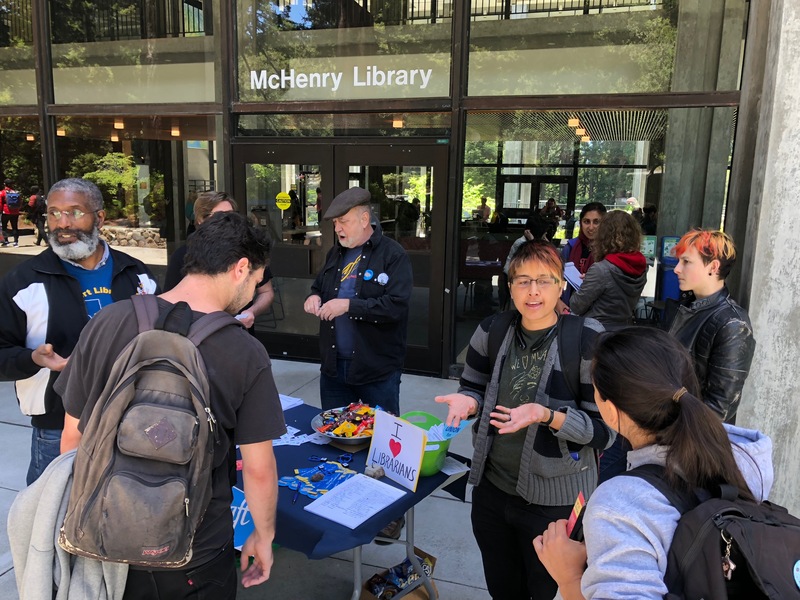 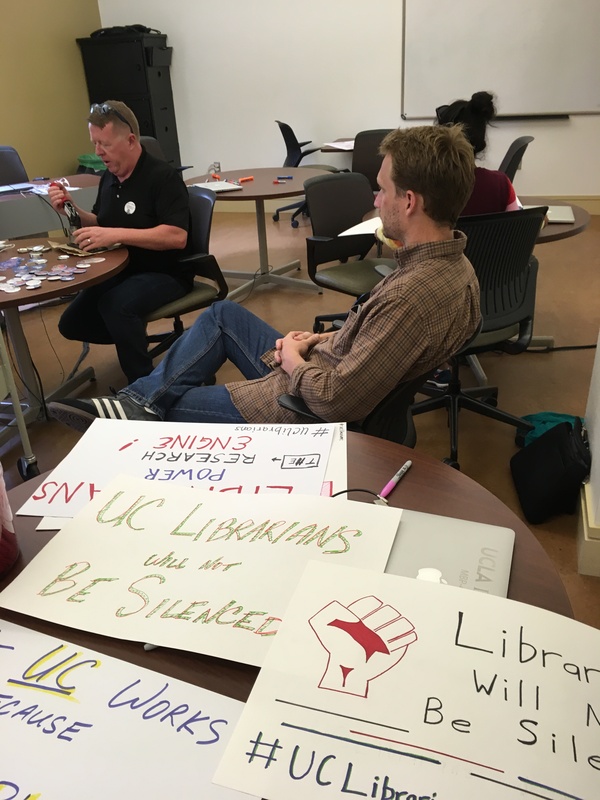 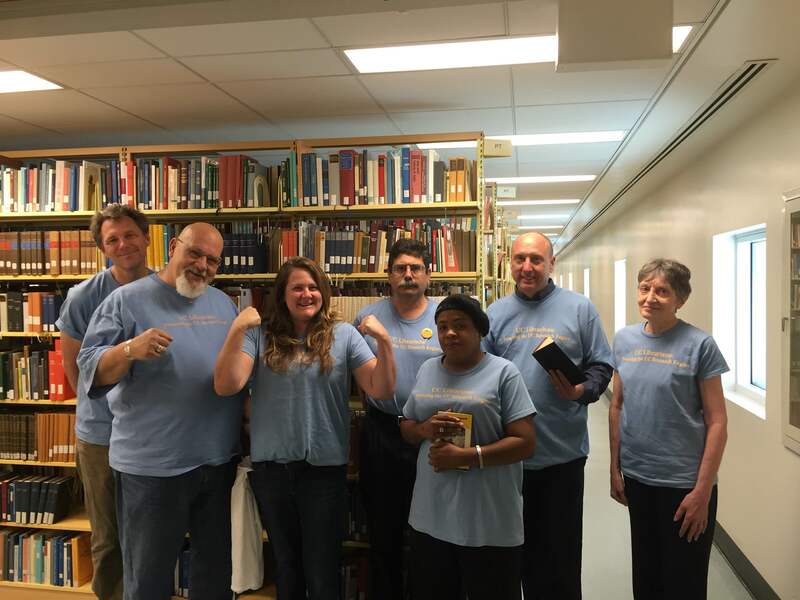 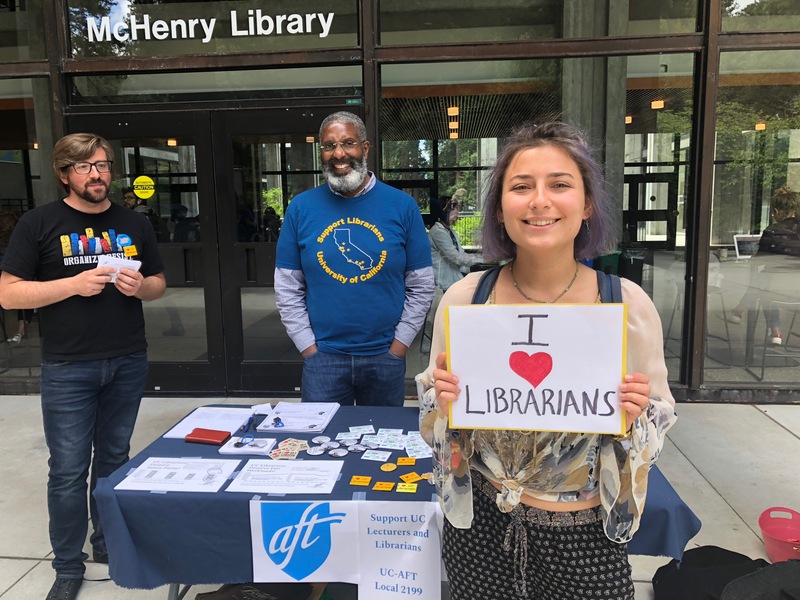 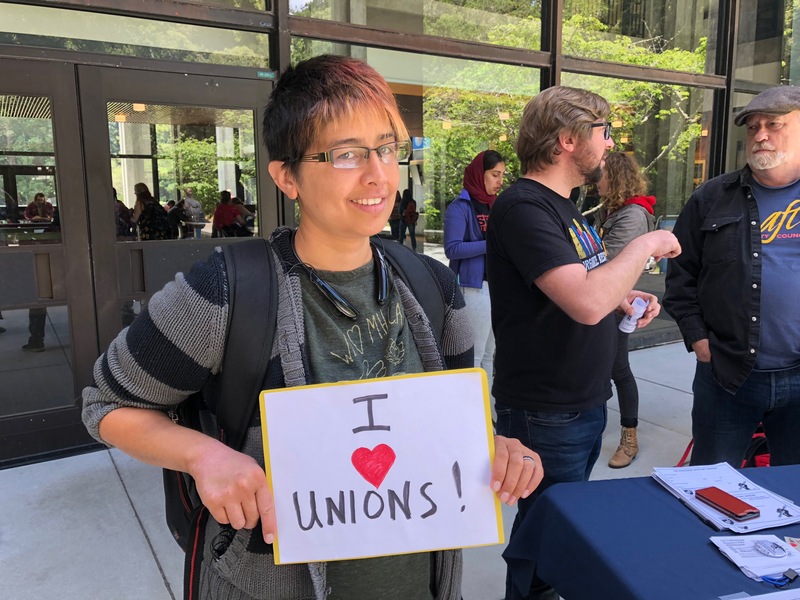 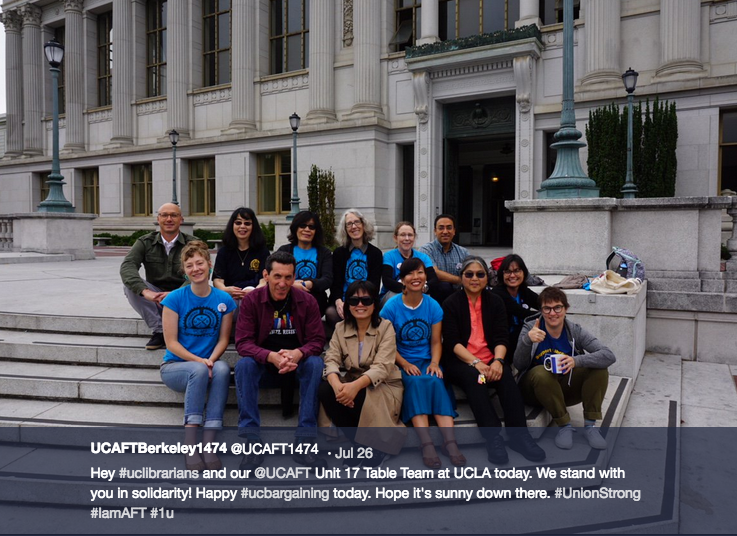 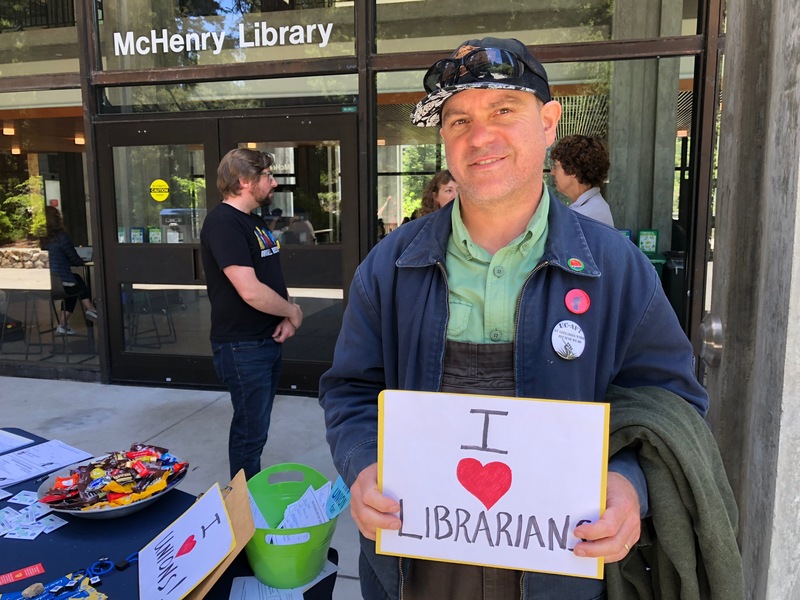 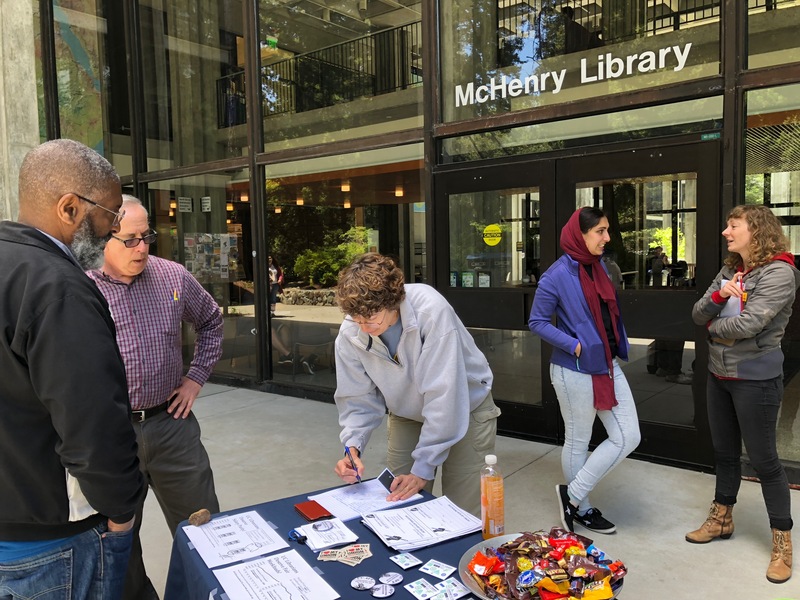 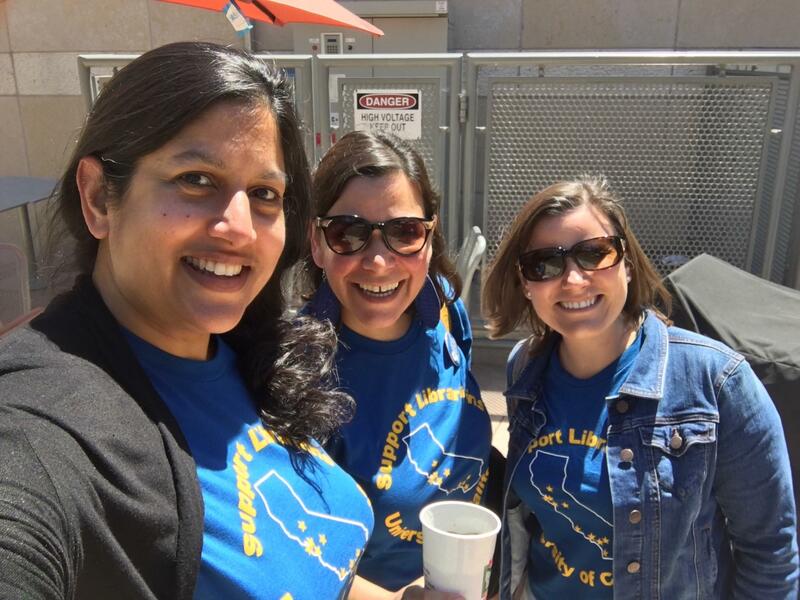 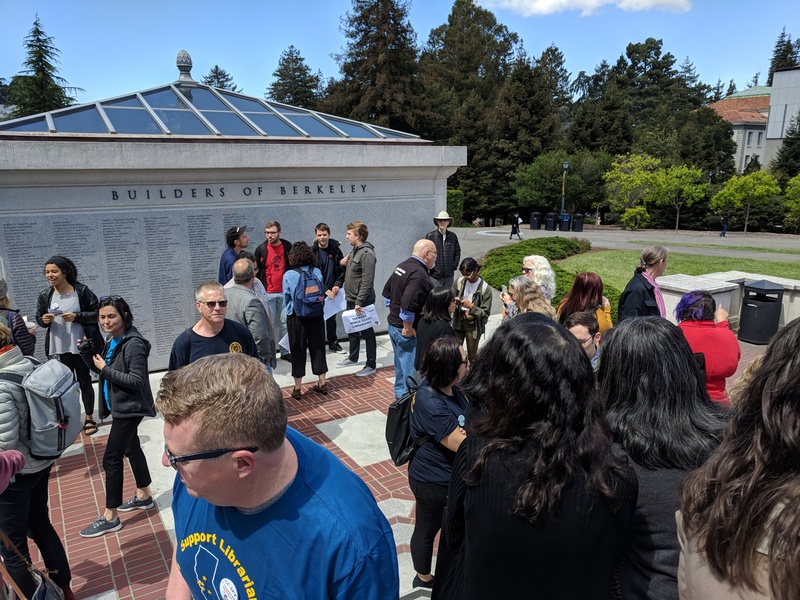 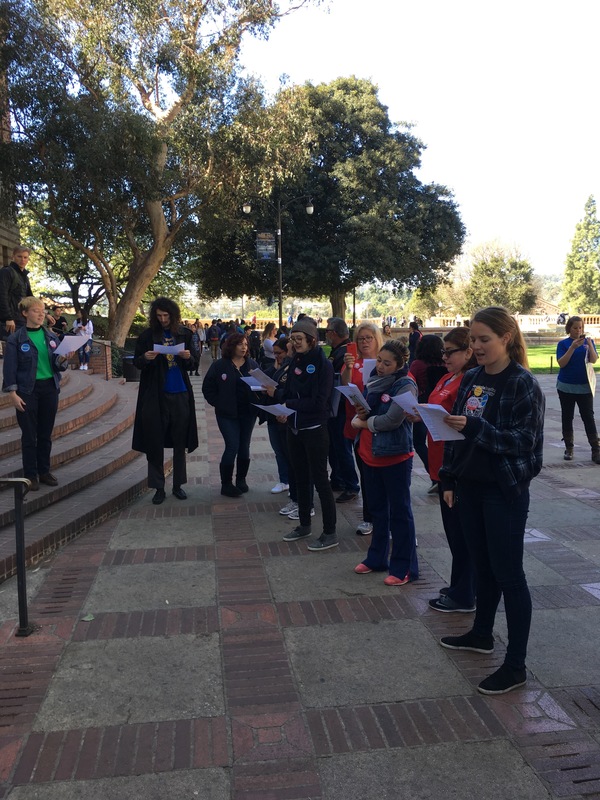 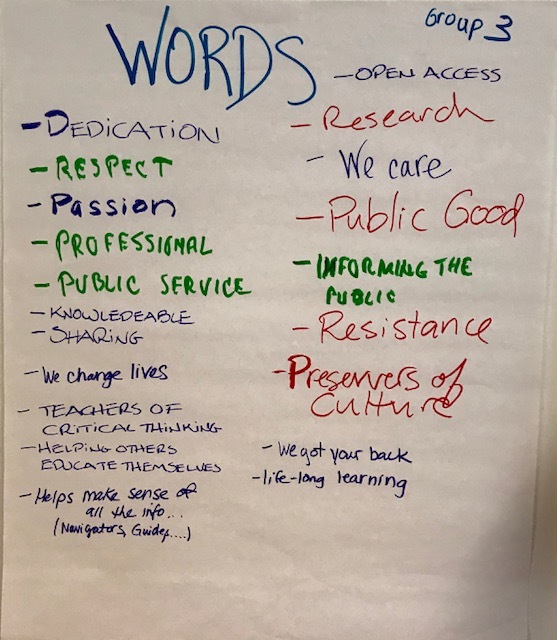 The bargaining session at UCLA was packed with 40+ observers and supporters, to support the UCLA Temporary Librarians as they helped us deliver our proposals. 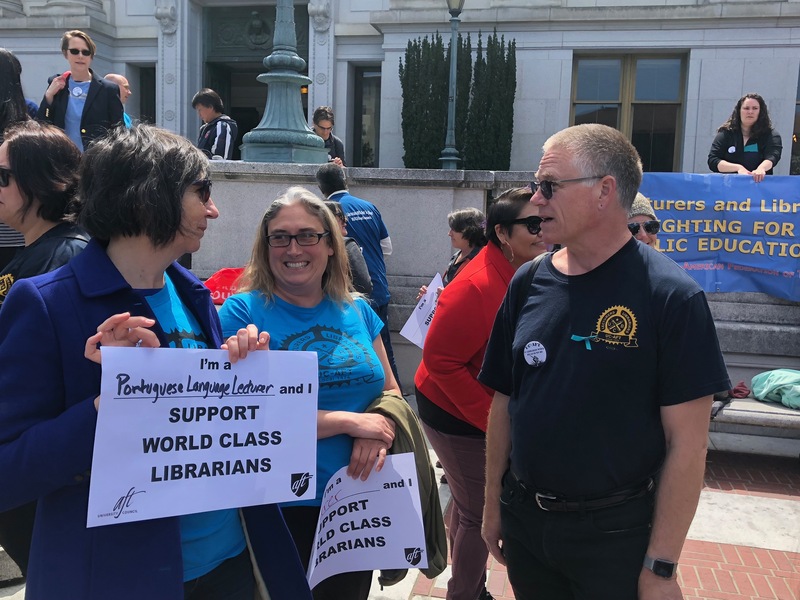 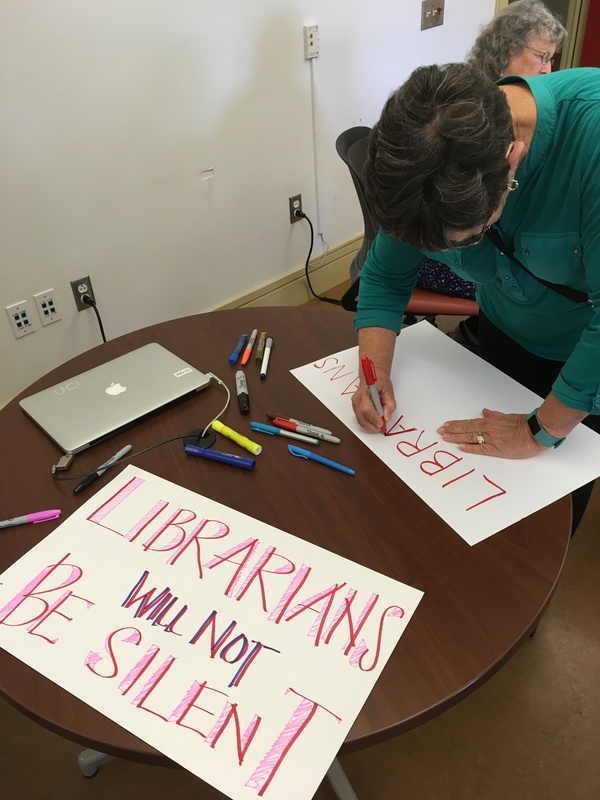 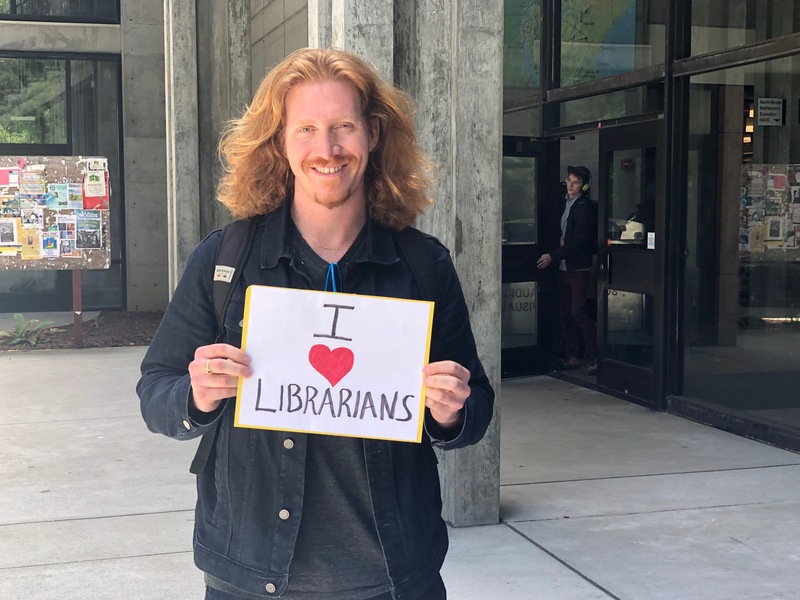 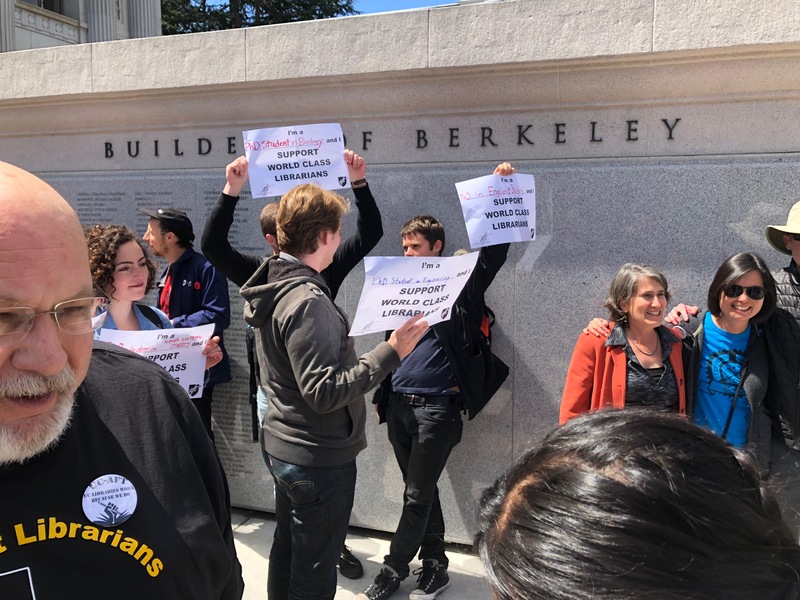 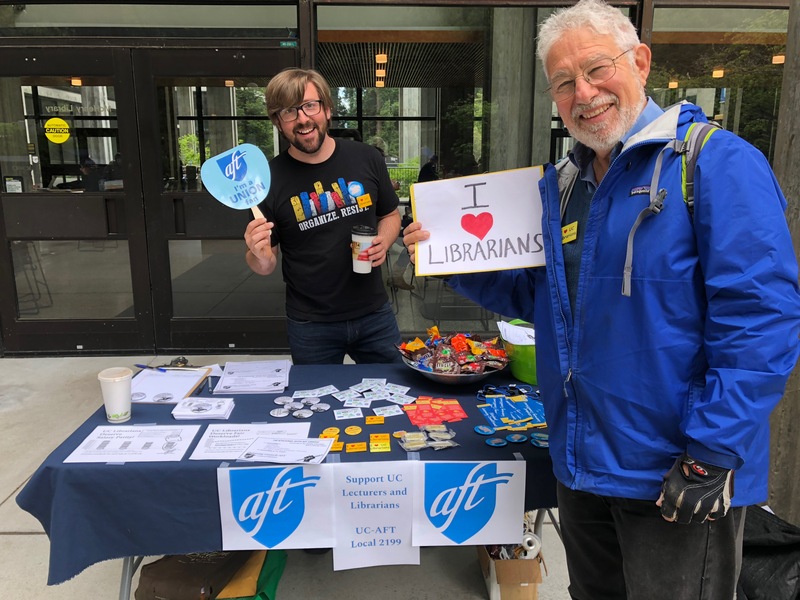 We had a little longer lunch break than we anticipated; so, 20+ folks marched down to the Chancellors office to deliver the latest version of the letter of protest from the Temporary Librarians. 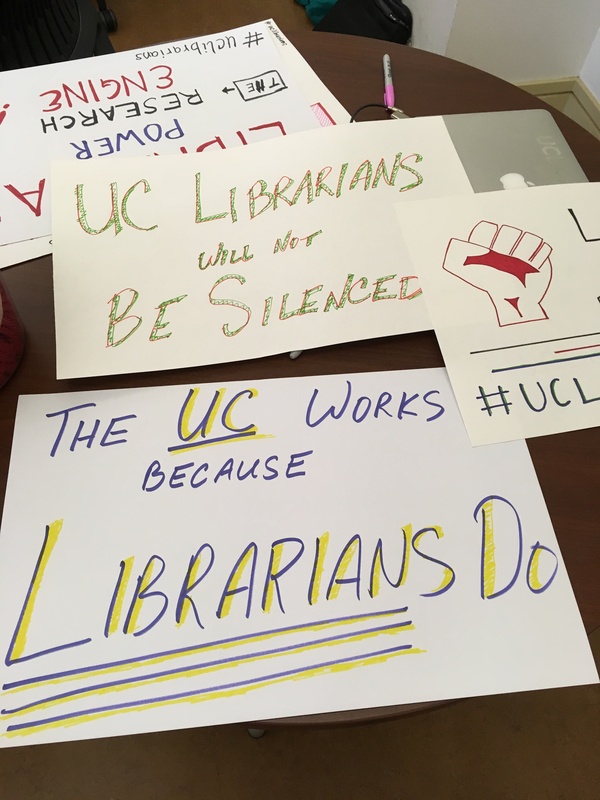 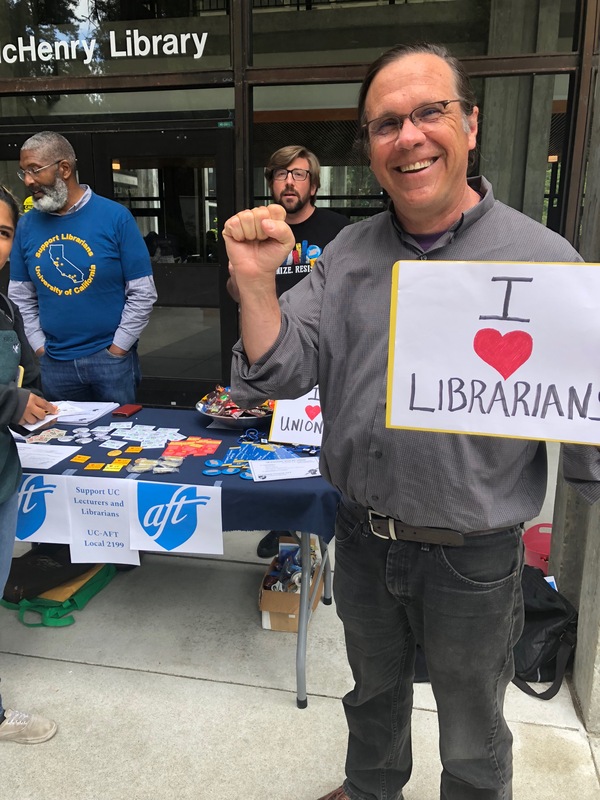 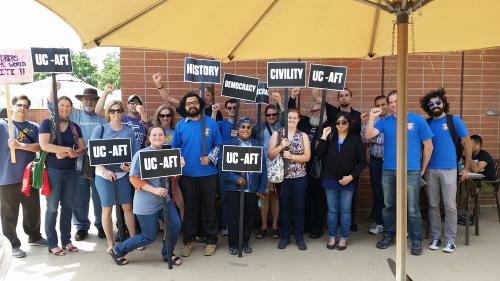 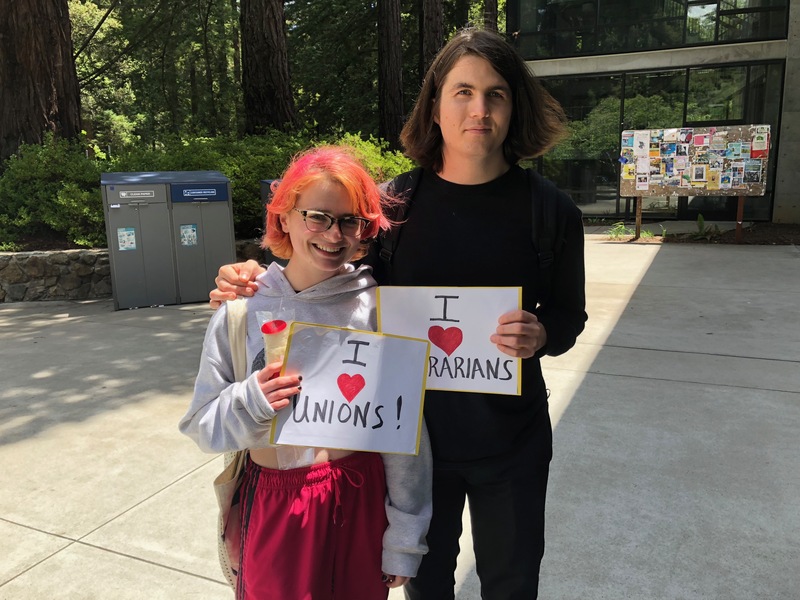 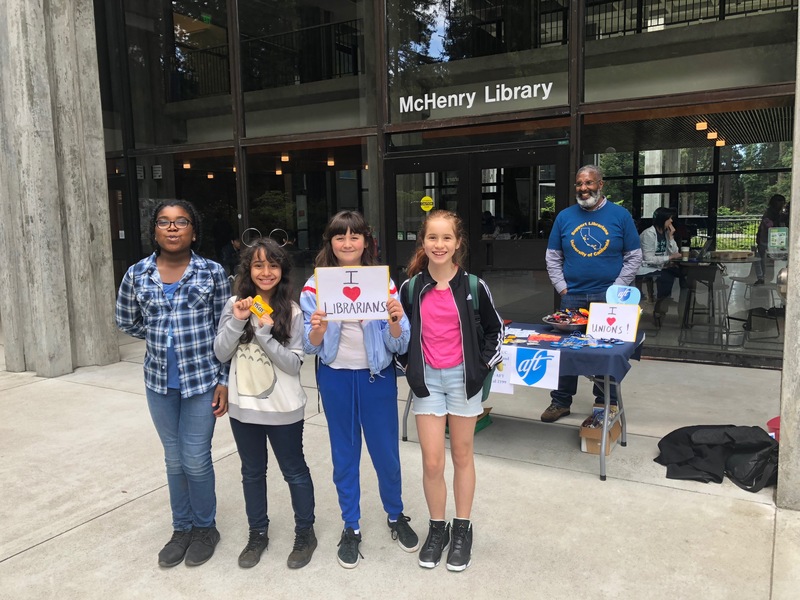 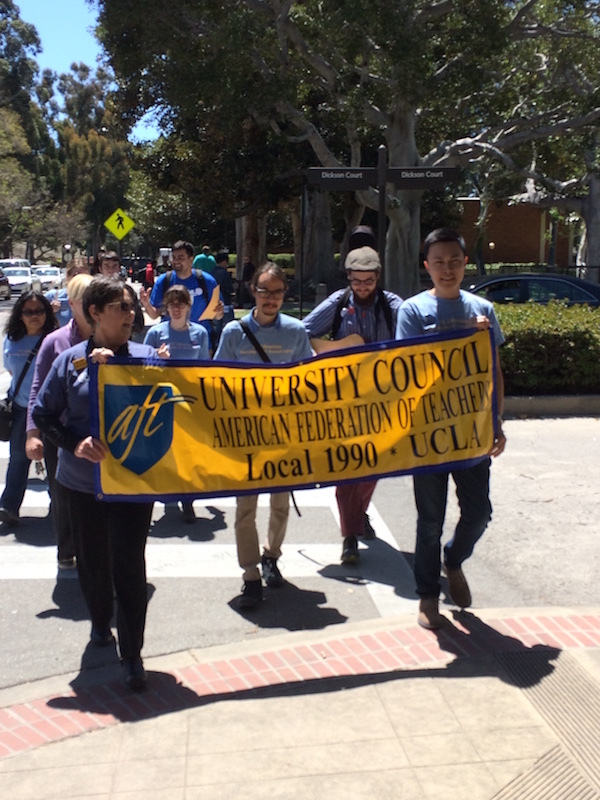 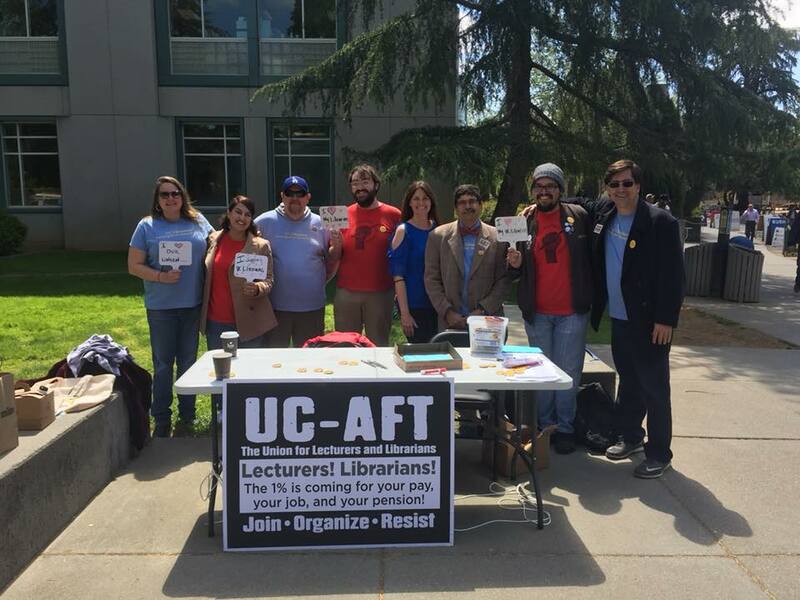 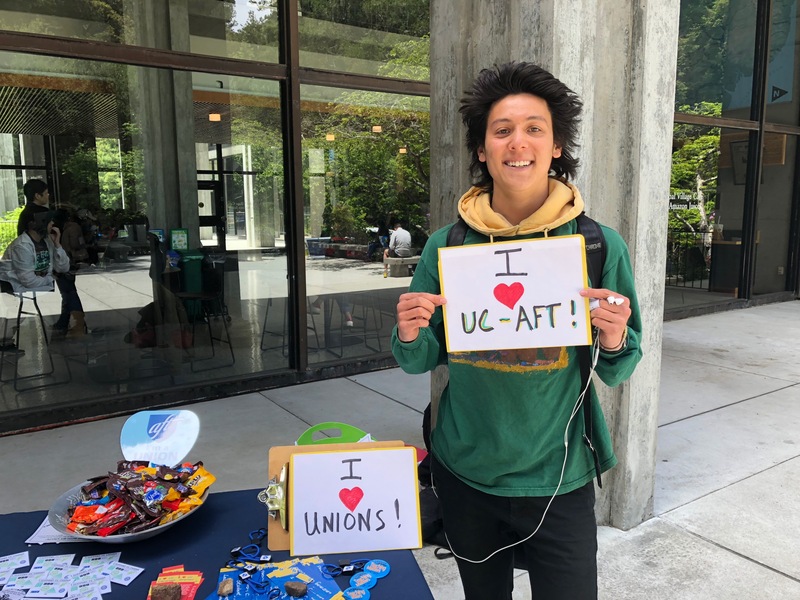 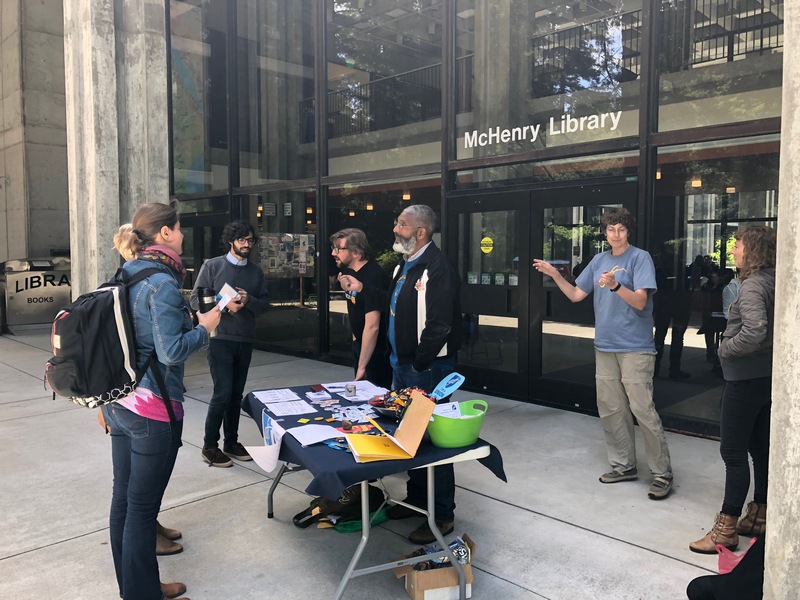 Then, there was a lunchtime rally that drew over 100 people; UCAFT librarians and lecturers, faculty, students, and even puppies. 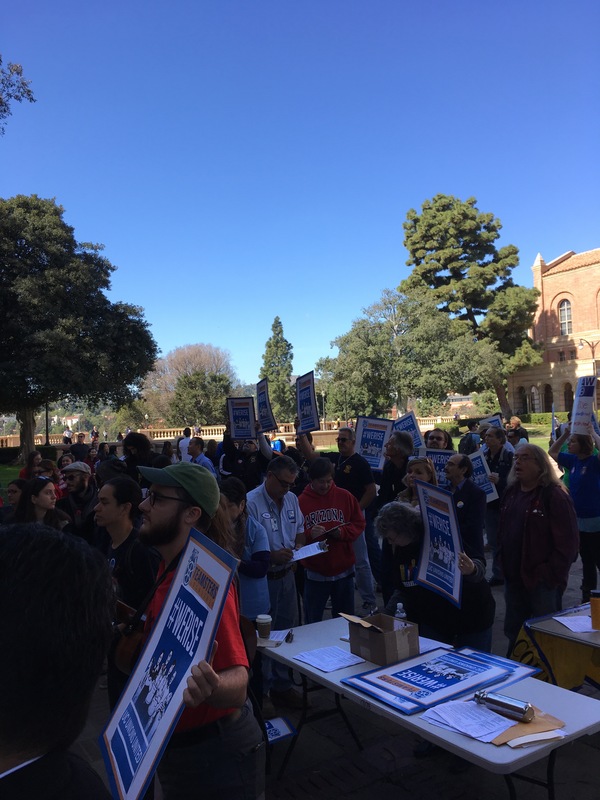 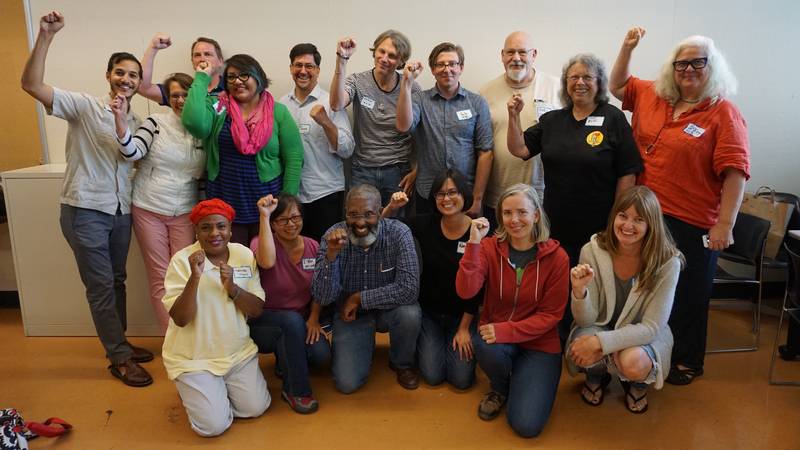 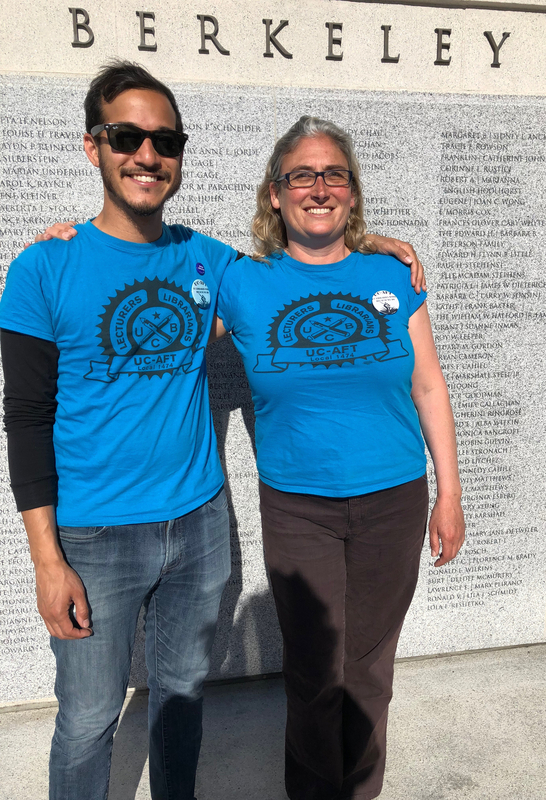 We drew proud support from UAW, Teamsters, AFSCME, UPTE, and more.